On 22 February 2011, a 6.2 magnitude earthquake struck New Zealand, killing 185 people and injuring thousands more, with much of the damaged focused on the cities of Christchurch and Lyttelton. Amongst the casualties was Christchurch Cathedral, a Gothic-style structure consecrated in November of 1881. Though previous earthquakes had caused some damage to the structure, the severity of the damage—complete destruction of the spire, partial damage to the tower, and additional damage to the rest of the building, led the diocese to deconsecrate and consider demolishing the entire building. The following years yielded much discussion surrounding the question of whether to demolish, reinstate, or hand off the structure, which served as both a religious and civic symbol in the community. Many in the church community wondered if spending the millions of dollars to replace the cathedral with something similar - and which would cost vastly more than the insurance payout—was poor stewardship of resources. Then Bishop Victoria Matthews suggested sharing space with the Roman Catholic diocese whose cathedral was also damaged, though that idea was declined by the Roman Catholics. 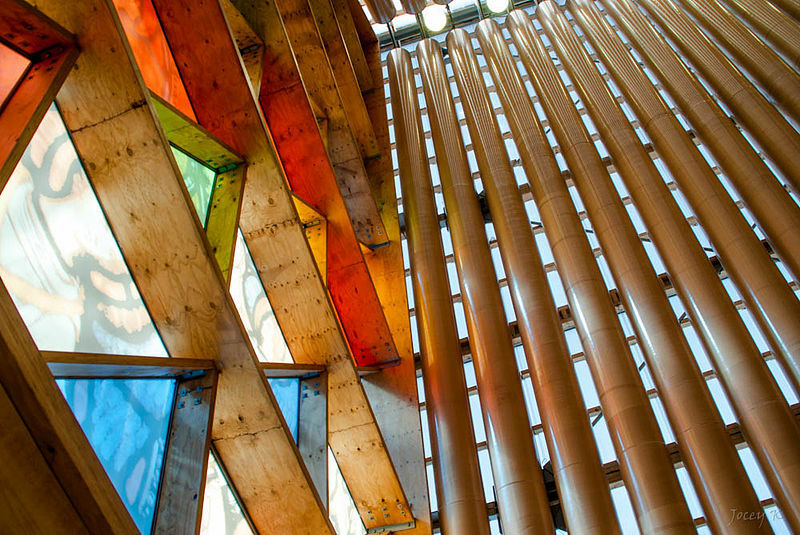 In the interregnum, the community has been worshipping in the Cardboard Cathedral; a fascinating structure designed pro bono by architect Shigeru Ban and made of cardboard tubes, shipping containers, wood, and steel. The structure seats 700. '[t]he restoration, once it gets underway, is expected to last 10 years. Government sources estimate the cost at $105 million NZD (approximately £54.7 million GBP), although the exact cost is not yet known. Here at Anglicans Online, we have had a fascination with this structure and the many things it has come to symbolize over the last 8 years, as can be seen here, here, here, here, here, and here. The Cardboard Cathedral has come to symbolize far more than just the transitional space it once represented. Rather, it has in itself exemplified new materials and uses for items becoming church. Of late, articles of repurposed church buildings have become commonplace. From art galleries and restaurants to theatres and living space for homeless veterans, these spaces are now being utilized for new and different things. This is good for stewardship of space, and ensuring that the public still has use of these often beautiful buildings, but also makes us sad that Christ is no longer worshipped there. The other side to this, of course, is the prevalence of non-traditional locations for church. We read recently of a church located in a community garden, and others taking place in pubs, coffee shops, and as always, homes. The Cardboard Cathedral sits in a third position: a dedicated, sacred space that is temporary. Not built of stone or brick as the building it has served to replace, it takes atypical materials: shipping containers and cardboard, to create something new and beautiful; something intrinsically 21st century in its planned obsolescence. No matter the space, of course it is Christ who is our one foundation as the church: whether in a church of cardboard or stone, pop-up tent or ceiling of sky. 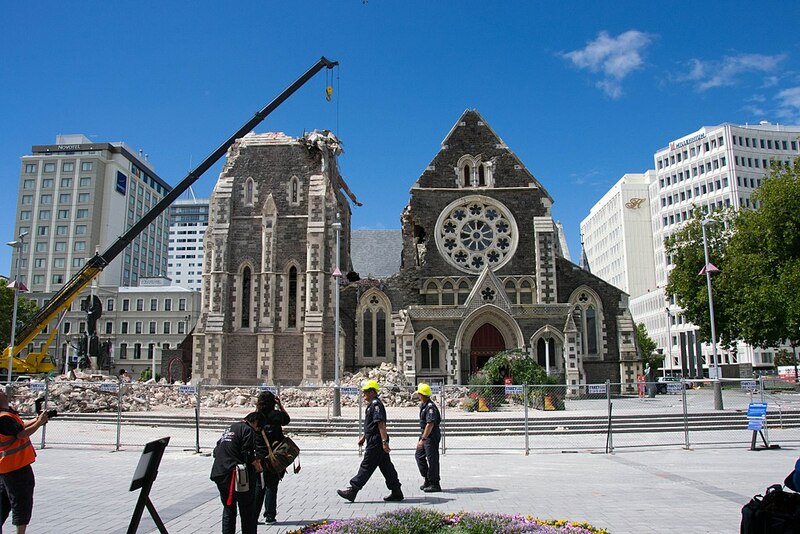 We wish the best to the Diocese of Christchurch as they begin this restoration, and our prayers for a solid construction, on time and within budget.